Expand the possibilities of MusicCast® with this wireless streaming amplifier. 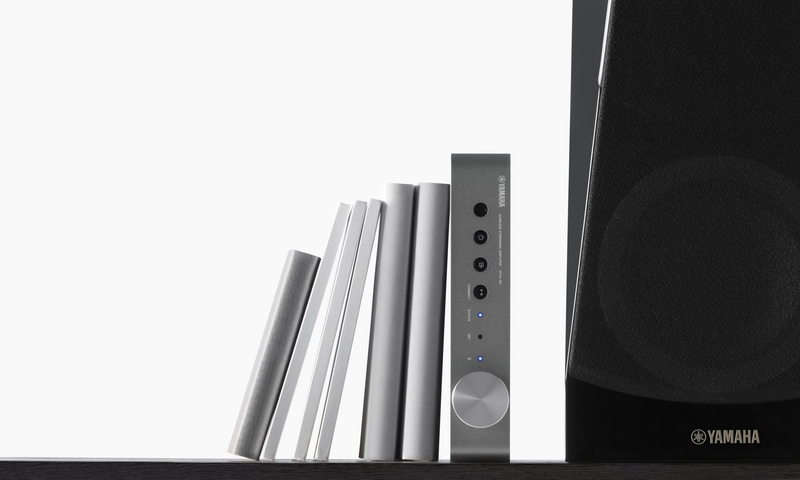 With its sturdy sheet metal body and blasted aluminum top cover, a finish that expresses different emotions depending on the light, and a touch that reveals the allure of the materials, this amplifier raises the spirits of anyone who holds it. 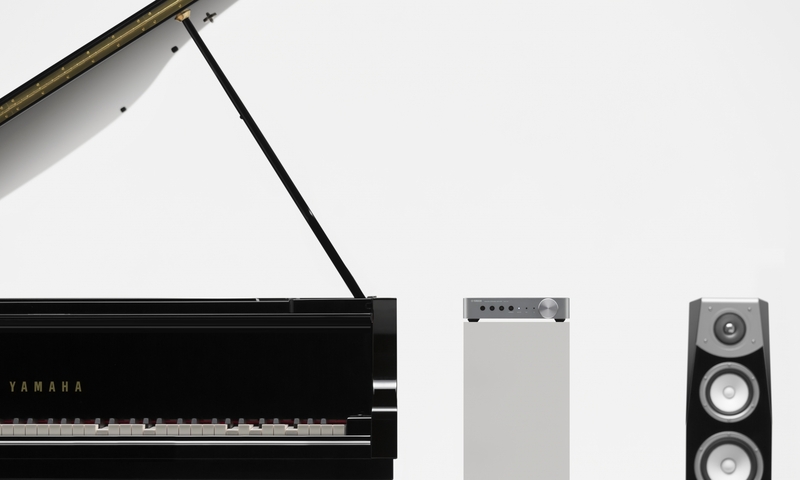 The WXA-50 and WXC-50 have a classical air to them, and are the products of a search for a retro-modern representation of a new worldview that can be used in combination with automatic playback piano functions. 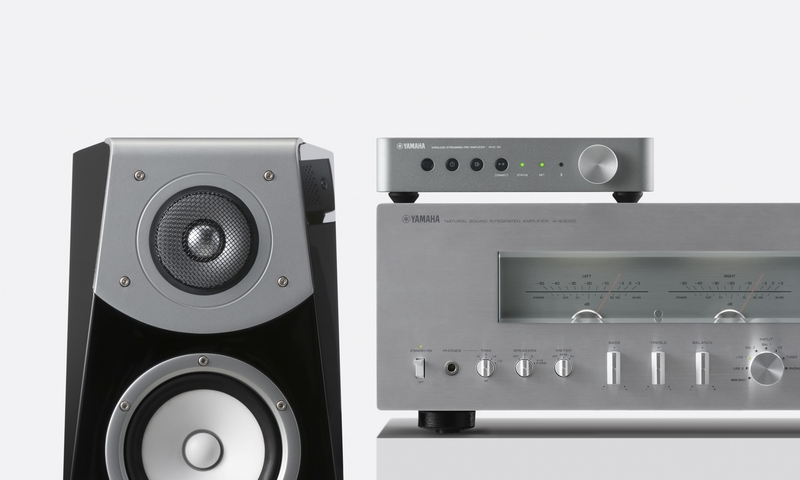 These products offer both joy and the latest audio functionality. 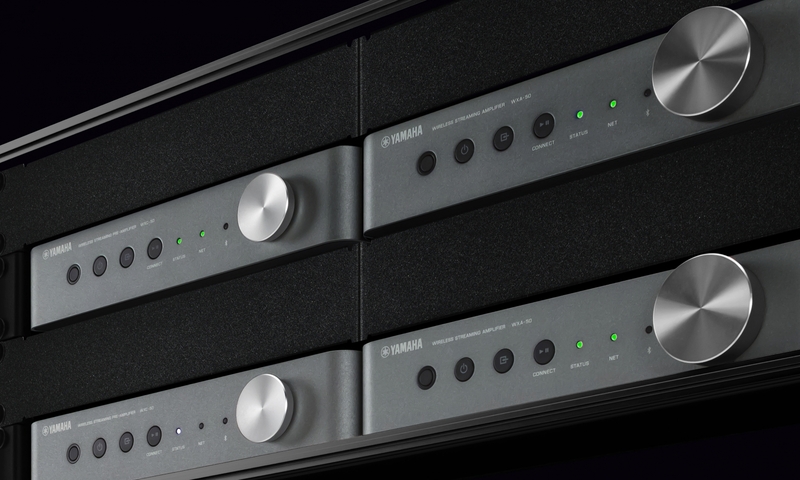 The WXC-50 utilizes an imposing physical volume knob to represent both a new take on network audio and the ubiquitous identity of an audio device. 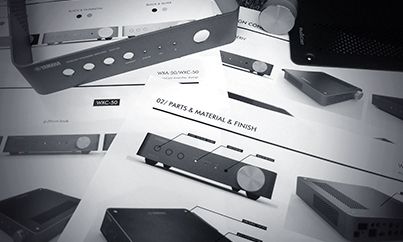 As a companion to your favorite speakers and amplifier, it will bring new pleasure to your listening time. Precisely constructed in order to achieve the purest audio fidelity, its internal components are solidly protected by materials of the highest rigidity. The top cover—with its superior heat-dissipating aluminum—allows for stable operation by helping dissipate heat across the entire surface, not just through air vents. 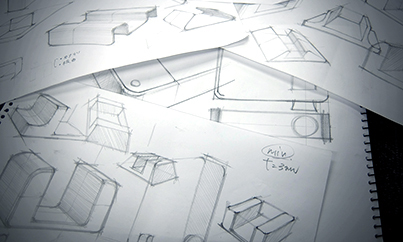 It is the embodiment of the product concept of "simple and flexible" thanks to its size and quality, both suitable for the top of a desk or a bookcase. The brushed surfaces of everything but the knob give it a form that is familiar, yet subtle. The spin finish of the volume knob surface is an enticement to enjoy the pleasure of using a retro audio product, while the beveled sides enhance the fit of the knob to the fingers. For Audio Featuring Love and Joy. 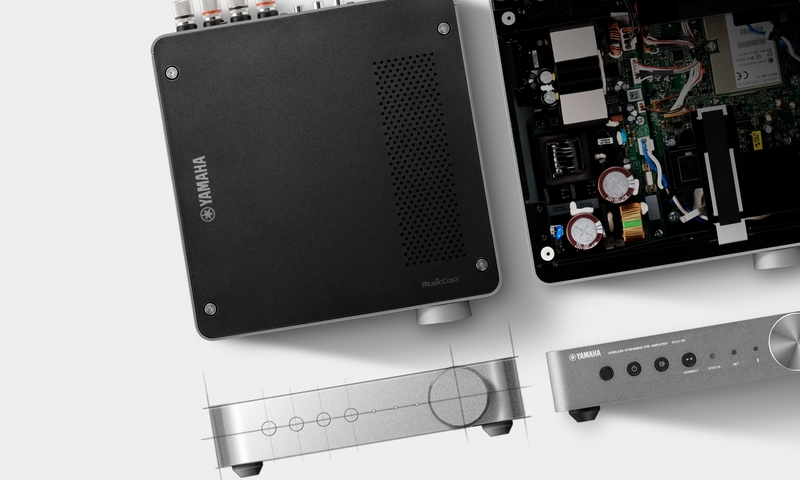 The WXA-50/WXC-50 is functionally our latest network player, but I designed it to clearly express the pinnacle of audio produced by Yamaha. The knob is meant to achieve this design goal by making an impression when viewed from the front. 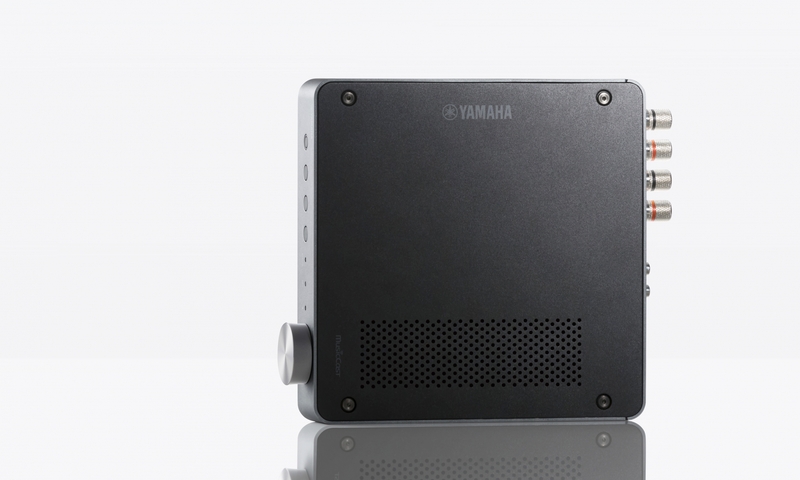 Since the player is controlled using MusicCast CONTROLLER—the exclusive Yamaha MusicCast® application—there is actually no need for any physical knobs or indicators. However, I thought that by inviting people to directly operate this device, they could experience the joy and allure of operating the device itself, the weight and coldness when touching the knob, and the satisfaction of the time spent with audio, so I decided to add the knob. I personally do not have a particular hobby. However, that makes me even more attuned to the brilliance of people who seriously enjoy their audio hobbies, whether that be as audiophiles or as musicians. I admire such people. I wanted to create something for such people so that they could enjoy their hobbies to the utmost. I added little details so that this device relates to the joy and love found in audio, such as a weight that is a bit surprising when held, dedicated decorative screws that have been created with particular care paid to the head shape and design, lovely little rubber feet, and body curvature. The design is meant to let you experience the joy you feel while it integrates itself into your lifestyle. The WXA-50/WXC-50 works with all components and speakers to give it the simplicity and flexibility needed so that you can enjoy your music in a variety of configurations I hope you will lovingly use it for a long time in whatever manner suits you.